The Bail Amendment Bill 2014 introduced important changes to the existing bail regime in New South Wales. Most significantly, the amendments brought-in what are referred to as the ‘show cause’ provisions. 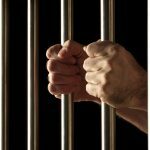 The amended bail legislation, through the insertion of Section 16A, requires an applicant charged with certain offences to ‘show cause’ as to why their detention is not justified. 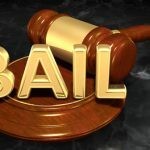 Under the amended bail regime, a failure to show cause results in an automatic refusal of bail. 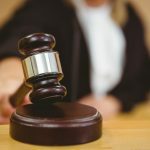 In most cases where the show cause provisions do not apply, a court can only refuse to release a person if a bail concern/s creates an ‘unacceptable risk’. Essentially, the show cause requirement creates an additional hurdle to overcome before bail can be granted. In cases where the show cause provisions apply, the focus of a bail application is not just on ‘mitigating’ (lessening) the relevant bail concern/s, but also to satisfy the court that the show cause requirement has been met. In other words, apart from considering the bail proposal the court must also be satisfied that detention is ‘not justified’. Through section 16B, the amended law provides a complete list of all offences to which the show cause provisions apply, which include all offences punishable by life imprisonment, certain indictable offences involving use of a firearm of military weapon, certain drug supply offences, as well as numerous others. Importantly, the Bail Act does not provide any guidance on what amounts to cause being shown. 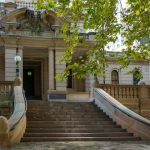 Absent any explanation from the legislature, the New South Wales Supreme Court, as part of its function in interpreting legislative provisions, has been left to interpret and provide guidance to the lower courts as to what exactly show cause means. From a practitioner’s perspective, I recall some occasions where judicial officers have taken an arguably unnecessarily restricted view of what amounts to showing cause. For example, there can be an overwhelming focus on the strength of the prosecution case and a view that detention is justified unless there is a clear or overwhelming issue with the prosecution case. Of course, most practitioners would agree that it is often difficult to identify any such weakness in the prosecution case prior to the service of the brief of evidence. Applying a very strict interpretation of the show cause provisions which focuses solely on the strength of the prosecution case could find prisons at beyond capacity in no time. 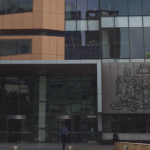 Thankfully for practitioners, and even more so for people held in custody, the New South Wales Court of Criminal Appeal (NSWCCA) has provided significant guidance on the show cause provisions. A combination of factors can amount to cause being show. Mr Mawad was charged with several armed robbery and firearms offences to which the show cause provisions applied. He was granted bail by the Supreme Court and the Crown filed a detention application (for him to be refused bail) which was heard in the NSWCCA. At the hearing, the Crown argued that the matters relied on by Mr Mawad to show cause were ‘common features’, and should not be considered sufficiently special to overcome the show cause requirement. In dealing with the Crown’s argument, Justice Beech-Jones stated that neither ‘special or unusual or particularly special or unusual circumstances must be demonstrated before cause can be shown’. His Honour continued: ‘A test posited in terms as to whether detention is justified or not necessarily defies any judicial attempt to circumscribe the circumstances in which it can be met’. In effect, the NSWCCA confirmed that each case must turn on its own facts and, most importantly, there is no requirement to show exceptional circumstances in order to satisfy the show cause requirement. From a practitioner’s perspective, it is important to note that there is rarely one sole factor or “smoking gun” which might be used to overcome the show cause requirement. In that regard, it is often best practice to argue that a combination of factors taken together amount to cause being shown. In this way, features which might ordinarily be considered as common such as youth and an being in custody for first time may, taken together, satisfy a court that cause has been shown or, in other words, that detention is not justified. In the case of Melmeth, the applicant had been charged with ‘wound person with intent to cause grievous bodily harm’ and also ‘detain in company’. Ms Melmeth had been in custody for about 6 months before her bail application was heard in the Supreme Court of New South Wales. The court noted that the applicant ‘relied on a number of factors to satisfy the show cause requirements of Section 16A’. Those factors included seriously ill health (type 1 diabetes) as well as the stringent conditions of bail proposed. It was clear that the applicant was experiencing a significant decline in health and, perhaps more importantly, those issues were not being adequately addressed in prison. In granting bail, the Court found that serious and untreated health issues in combination with very stringent bail conditions can amount to cause being shown, even in circumstances where the applicant is alleged to have committed serious offences of personal violence. Of course, from a practical perspective it is important to keep in mind that general submissions regarding serious ill health, in the absence of supporting evidence, may be insufficient to satisfy a court that the show cause requirement has been met. Supporting evidence may come in the form of documents subpoenaed from Justice Health, as well as records from treating doctors in the community. Where such material is not available, a letter from a family member detailing the particular health issues and confirming that adequate treatment has not been forthcoming in prison may be the next best option. Of course if resources allow, a custom report from a Doctor detailing the particular health issue or issues and confirming that adequate treatment has either not been forthcoming, or simply is not available in a custodial setting, could provide compelling evidence to help overcome the show cause requirement. There are several other authorities confirming that various factors, either individually or taken together, can amount to cause being shown. Factors such as delay, a strong personal need to be in the community, and youth, can all overcome the show cause requirement. But again, rarely is any one factor so compelling that it alone justifies a grant of bail in a matter where the show cause requirement applies. 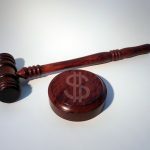 That is why, when faced with a difficult bail application, it is of upmost importance to fall back to the two basic principles: show cause does not mean there must be something exceptional, and furthermore, a combination of common factors taken as a whole can meet the show cause requirement.